NEW ORLEANS (CNS) — For the past 50 years, Patti Gallagher Mansfield has kept the Champion Wiremaster stenographer’s notebook, 5-by-8 inches, safely tucked away among her most cherished, sacred items in her dresser drawer. The notebook has 80 ruled pages. It cost 25 cents. 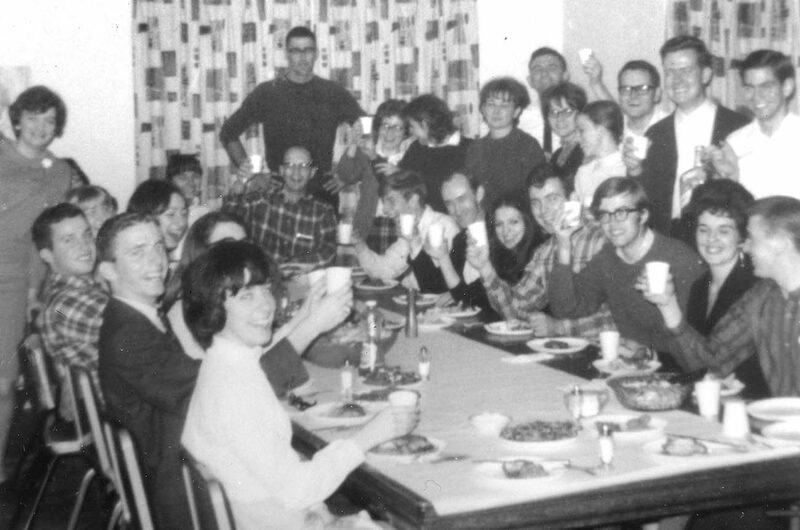 One was given to each of the 25 students from Duquesne University and La Roche College who attended a weekend retreat in February 1967 at The Ark and The Dove Retreat House just outside of Pittsburgh. Between the slightly faded, tan covers are page after page of Mansfield’s handwritten reflections in blue ballpoint pen of the mysterious things that happened on that three-day retreat, a weekend that ultimately changed the course of the Catholic Church worldwide. The weekend — now called the “Duquesne Weekend” — is acknowledged as the birth of the Catholic Charismatic Renewal movement in the United States, which has spread throughout the world. The Charismatic Renewal centers on the “baptism of the Holy Spirit” in which God’s Spirit renews and fills a person with grace. Mansfield talks about releasing the graces already conferred through baptism and confirmation. “As far as I know, there were individual Catholics who had been baptized in the Spirit,” said Mansfield, who added the Duquesne Weekend was the first known case in which a group had “a common experience” that then spread quickly to college campuses, rectories, hospitals and parishes across the country. “That could not have been happened unless the Lord were behind it and that he willed for this grace of being baptized in the Holy Spirit to become more widely experienced by the whole church,” she said. She made the comments in an interview with the Clarion Herald, the New Orleans archdiocesan newspaper, in advance of the movement’s golden anniversary celebration, held Feb. 17-19 in the same retreat house chapel in Gibsonia, Pennsylvania. 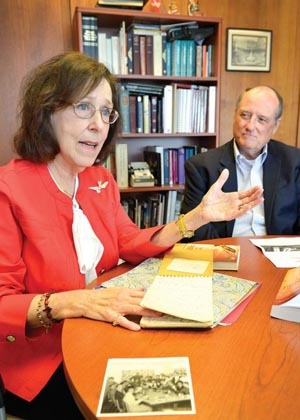 The notebook that Patti Gallagher Mansfield has kept for 50 years contains her journal of the “Duquesne Weekend” in 1967. Mansfield lives in Covington, Louisiana, with her husband Al. (CNS photo/Frank J Meth, Clarion Herald) See CATHOLIC-CHARISMATIC-50TH Feb. 17, 2017. Mansfield, who was a 20-year-old Duquesne junior in 1967, and her husband, Al, now serve as liaisons for the Charismatic Renewal in the Archdiocese of New Orleans. While at Duquesne, she had been a regular member of a Bible study group, and there was talk from two professors who had attended an interfaith prayer meeting a few weeks earlier that they had received baptism in the Holy Spirit. The professors suggested a new name for the students’ upcoming retreat — “The Holy Spirit” — and asked the group to read “The Cross and the Switchblade,” a 1962 book by pastor David Wilkerson about his ministry to youth drug gangs, and the first four chapters of the Acts of the Apostles. That night, two members of the group were supposed to celebrate their birthdays with a party, but “there was a listlessness in the group,” Mansfield recalled. She went upstairs to the chapel, now called the Upper Room, to pray. She remembers giving her life to God. Mansfield said the Charismatic Renewal has always been and will always remain at the center of the church. She said after the Duquesne Weekend, her study of the Scriptures and the documents of the Second Vatican Council — especially the footnotes on the Holy Spirit in “Lumen Gentium” (Dogmatic Constitution on the Church) — convinced her that the movement was within the church. Within months, news of the Duquesne Weekend spread to students attending the University of Notre Dame and Michigan State, Mansfield said. This was before the internet. It was mostly word of mouth, but Mansfield said one way of transmitting the news came through “carbon copies” of testimonies that were mailed out. In June 2014, Mansfield joined hundreds of thousands of charismatics, across all denominations, in Rome’s Olympic Stadium and met with Pope Francis. “The Holy Father told us to remember that this grace was born ecumenical,” Mansfield said. She will return to Rome June 1-4 for a worldwide charismatic conference and the celebration of Pentecost. Pope Francis will preside at a prayer service June 3, the eve of Pentecost, at the Circus Maximus, a large outdoor oval that was the location of chariot races and other mass entertainment in ancient Rome.